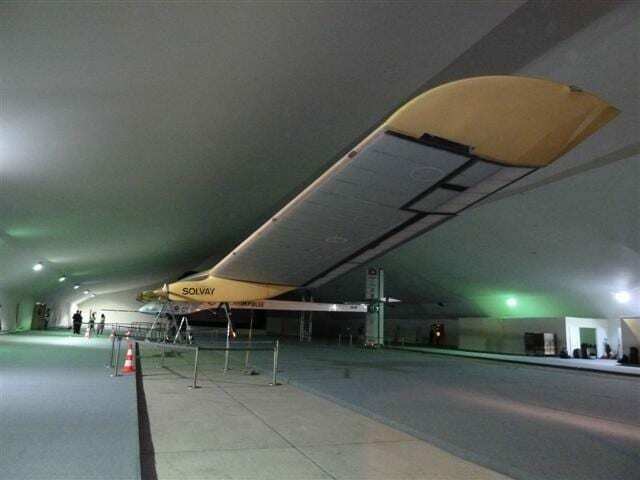 Home » Blog » Comments » Countries » Featured Articles » Travel » THE SOLAR PLANE. FUEL-FREE FLYING! 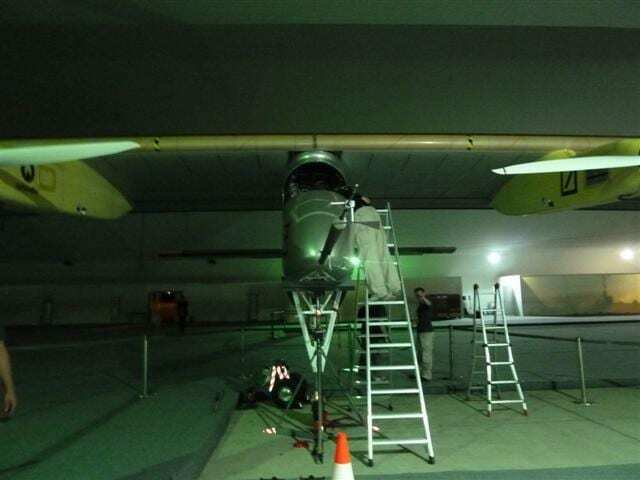 A couple of years ago I was invited to see the Solar Plane just after it had landed in Morocco in the evening. There were people scurrying over it like ants and I was amazed at the length of the wings. They’re very long and skinny, with solar batteries underneath. When the plane landed, the pilot, Andre Borschberg, told me that the plane was fully charged! 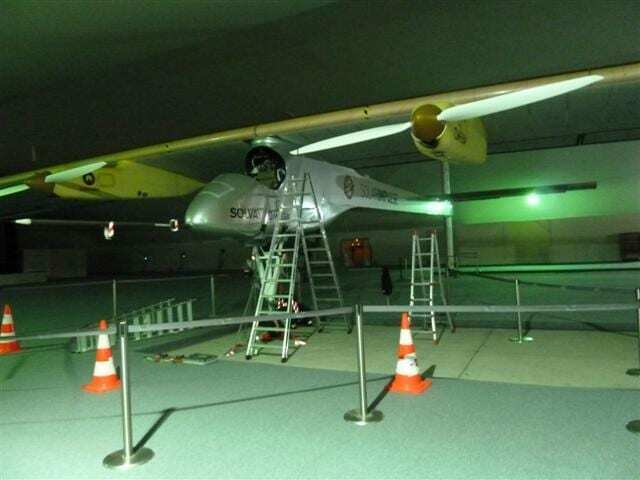 The Solar Plane is a very difficult plane to fly. A NASA test pilot had tried, but he couldn’t manage it. Now the plane has set off on its planned round the world trip. I’m sure that this is the plane of the future, although it will be a long time before a solar plane full of passengers will be able to fly. But no doubt it will happen, although I bet the oil Companies will do everything in their power to delay it. And so will the airlines, who will have to drastically reduce their prices! Rabat, 29 June 2012 – After a rich week of events in Ouarzazate, Morocco’s construction site of what will be the world’s largest thermo-solar power plant, the Solar Impulse aircraft of Bertrand Piccard and André Borschberg has completed its first leg of the return home, landing in Rabat-Salé International airport at 10:22 PM (UTC+1), 29 June. With André Borschberg at the controls, the Solar Impulse airplane took-off this morning at 07:33 (UTC+1) from Ouarzazate International airport. After flying over the Atlas Mountains at an altitude of 3’600 meters, avoiding the formation of thunderstorms later in the morning, the prototype flew in the direction of Marrakesh. Because of strong winds at a high altitude and thermals from the ground, the pilot found a holding area between Marrakesh and Rabat where he waited for sunset before beginning his final descent into Rabat-Salé. 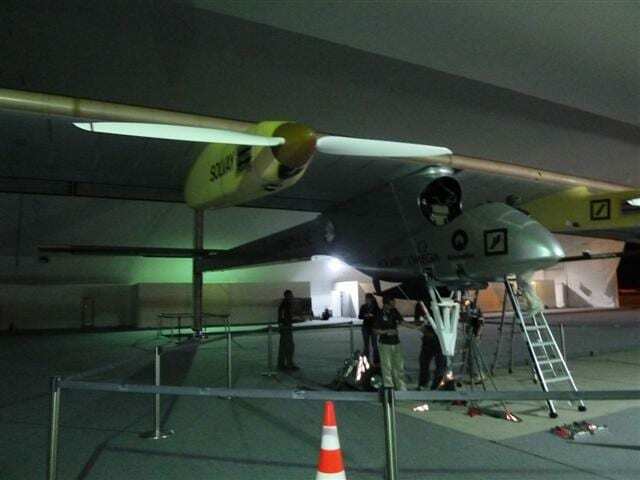 After a flight lasting a total of 14h49min, André Borschberg safely landed the solar aircraft at 10:22 PM (UTC+1). Ouarzazate is the construction site of what will be the world’s largest thermo-solar power plant, expected to produce 160MW during its first phase and 500MW by 2015. The plant is based on concentrating solar power (CSP) technology using parabolic trough solar collectors with heat storage; it will be the largest of its kind. The Moroccan Agency for Solar Energy (Masen) and Solar Impulse share a common message, which is why Ouarzazate had always been the desired destination of the 2012 Crossing Frontiers mission. Both are engaged to invest in innovative projects today for job creation and sustainable growth while also protecting the environment. Just after take-off, André Borschberg made a loop around the construction site as a way to honor Morocco’s innovative project and give one last farewell before returning to the country’s capital city. The HB-SIA is expected to stay in Rabat to undergo the usual technical check-up after 50 hours of flight before making its way back to Europe. It will first make a stop in Madrid before completing the last leg of the mission, bringing it back to Payerne, Switzerland. solar technologies and to develop specialized training branches to feed the needs of this sector. What’s the Morocco address/location of your base there? We don’t have any permanent base there. We flew in Morocco under the High Patronage of King Mohammed VI and upon invitation of the Moroccan Agency for Solar Energy (Masen). When is it next flying? Next flight will be probably in the US next spring/summer. We are currently studying the possibility to make a coast to coast (west-east) flight. 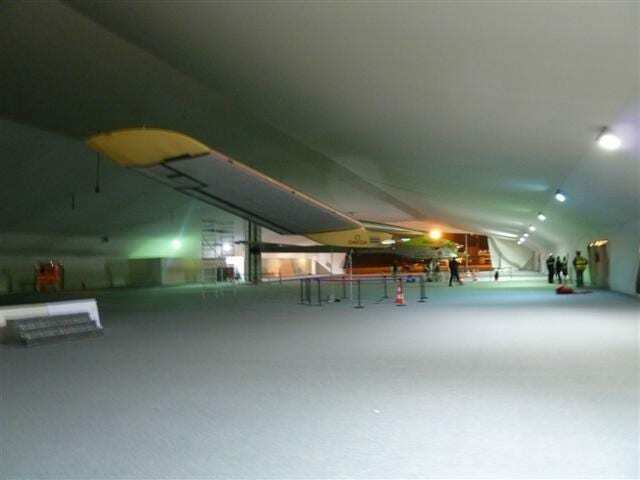 In the meantime the second aircraft (the one who will circumnavigate the globe) is currently under construction in Switzerland. What about problems with visas, airspace, etc? Our team contact each country and ask for permission to flight. Usually we are warmly welcomed. As long as you have a permit to fly from your origin country (Switzerland for us) it’s easier to get authorization. I think the pilot said that the plane is difficult to fly. It depends the weather conditions. When there are turbulences the pilot has to work a lot and use his muscle to maintain the direction! On the other side, aviation must of course also change in order to survive the constant augmentation of the kerosene price, but at the contrary to Solar Impulse, the engines of commercial flights are not ready yet to abandon the use of fuel. We are only showing that “ who can do the most, can also do the least” . To have all information and live again all the flights of this summer please go on our website and type MISSION FLIGHTS in the tag search box you will find all the content related (text, picture, video).